We've built our reputation over the course of many years years by planning private parties that suit all occasions. We bring our best and work with only the best so our vendor/partner network ensures that you get the best for your party. But it's not only our contacts that count, it's also our experience, from budgeting to booking artists, we're creative and collabroative, promising you confident professionalism when you need it most. There's no secret formula to producing the perfect party. Each event is unique and custom-designed for each client. 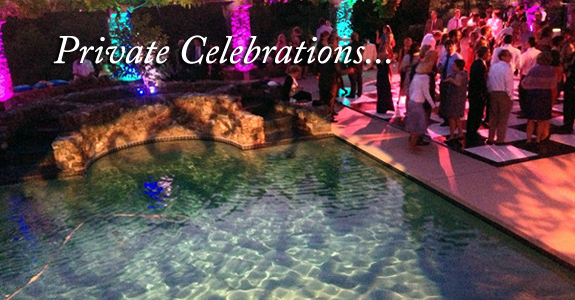 We work with you to create an event that perfectly relects who you are.